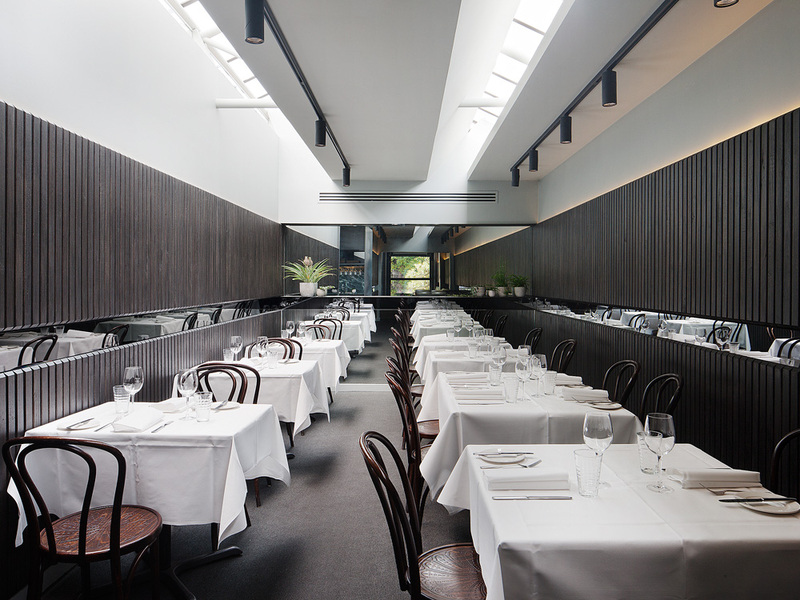 An interior renovation project, the existing condition was a renowned restaurant due for aesthetic reimagining. Molecule’s brief was to provide new finishes to the existing dining room, bar and bathroom facilities to the ground floor, and private dining room upstairs. The first design challenge was diners’ perceived variance in desirability from the Domain-facing front tables to those further inboard; the response was the continuous application of timber battening and mirror to continue the effects of the Domain freshness beyond. The second design challenge was to update the atmosphere of the restaurant interior, attracting a new breed of regular diners while remaining relevant to its existing clientele; the response was to employ a discerning palette of self-finishing materials (rolled steel, marble, solid timber and leather), creating an aesthetic that’s at once contemporary and familiar. The precise detailing of tactile materials reflects the light touch and extreme care of the Bacash spirit.